Styled with selena pant . Like, really soft. 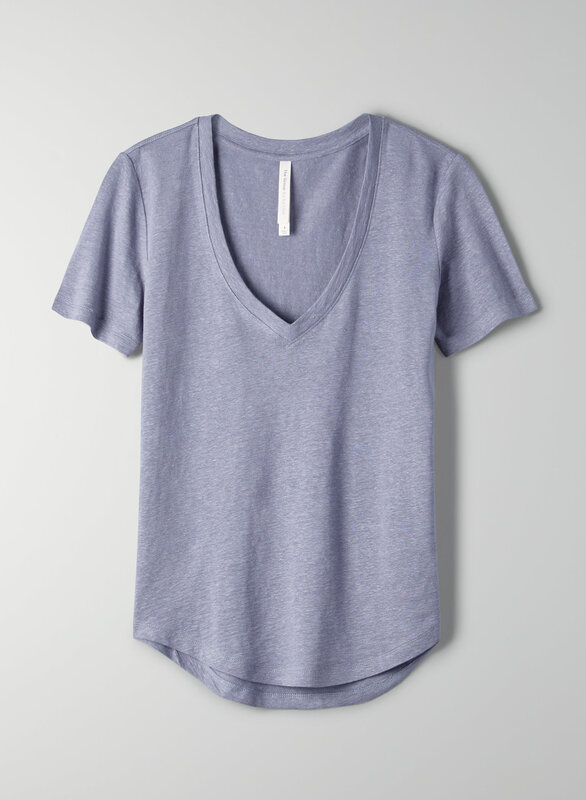 This is a classic t-shirt with a V-neckline and curved hem. It's made with a blend of linen and spandex that drapes beautifully.